Arizona Horse Rescue View other Horses for adoption. Sunshine is an 18 year old Arab/Pony. She is great under saddle. She's still putting on weight as she came in very thin. She stands ties, saddles nicely, great with her feet and is very easy to catch/lead. She has a scar on her left hind leg that has been evaluated. It is from a prior injury and is not a cause of any lameness. The vet did mention mild arthritis in her hind legs and stated that being ridden consistently is best for her. He said to avoid circles, trail is perfect. 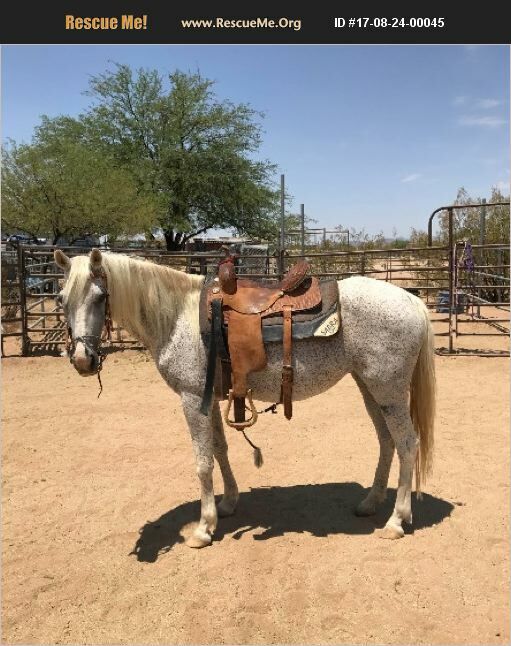 She is an incredible mount and is currently being ridden for up to 3 hours (1-2 times per week) in the Saguaro National Monument West. She is terrific in all gaits. Current on vaccines, wormer and teeth have been floated.